We Are George Parks Roofing And Painting. 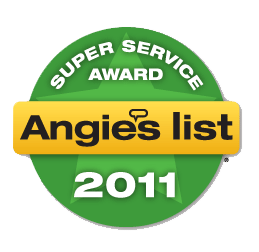 We Are Proud Of The Fact We Are The Highest Rated Local Newport Beach Roofer. We Are Family Owned And Operated For Over 37 Years And Are Experts In All Types Of Roof Repair Newport Beach Please Call Us At 714- 457-3385 For A Free Roof Estimate Newport Beach. Please See What Our Customers Have To Say At. With over 18 years of experience and thousands of satisfied customers, George Parks Roofing is the premier choice for residential and commercial roofing services in Newport Beach. Since 1976, we’ve been providing quality roof design, installation, and repair services for Newport Beach businesses and homes. As a full service roofing contractor and manufacturer-approved installer, we have the knowledge and expertise to handle all your roofing needs. Whether you need a new roof, re-roofing, a routine inspection or a simple repair, we provide the extra effort and attention necessary to ensure that your roof is in top condition. We use only high quality materials and pride ourselves on our excellent craftsmanship and attention to detail. With George Parks Roofing you’re guaranteed the best service and support at cost-competitive rates. 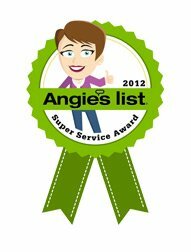 Our outstanding service has even earned us an A+ rating from the Better Business Bureau. George Parks Roofing obtains all the necessary permits and schedules the requisite inspections, including a city inspection during the project and a final inspection after its completion. We hold regular safety meetings, and all work is supervised by our senior project manager and quality control supervisor George Parks is fully licensed, bonded, and insured; we provide proof of insurance with every quote. 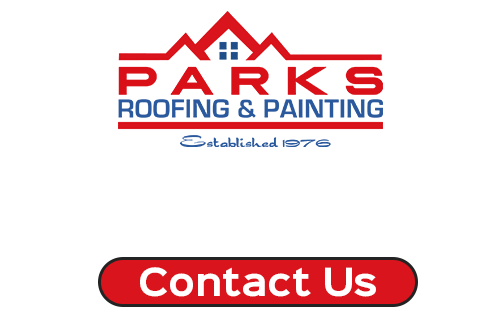 Please feel free to contact us today to learn more about roofing services in Newport Beach. Since 1976, George Parks Roofing has been a leading roofing contractor in Los Angeles County and beyond, providing our valued customers with quality, affordable roof design and installation for commercial and residential buildings. Our attention to detail and skilled craftsmanship makes us the best value in attractive, functional, and long-lasting roofs. We will help you create a roof design that best suits the needs of your Newport Beach home or building. We offer a wide selection of high-quality roofing materials such as slate, shingle, and tile, available in many colors, shapes, and sizes. Our skilled workers are highly trained in every aspect of roof installation and will always complete your project on time and within budget. We will also take great care to protect your property and maintain convenient access to your home or building during construction. All new Newport Beach roof installations are covered by a full warranty, with a manufacturer guarantee provided for your protection. To learn more about new roof installation in Newport Beach, call us today. As Los Angeles County’s leading roofing contractor since 1976, George Parks Roofing has the experience and the professional capacity needed to skillfully execute your Newport Beach commercial or residential re-roofing project. We perform quality roof replacements for old or damaged roofs, and offer a wide selection of materials such as slate, shingle, and tile. A new, properly installed roof can last 20-30 years or more while also revitalizing the aesthetic of your Newport Beach home or building. Our experienced professional estimators will survey your roofing structure and recommend the best design for your needs and budget, whether financial constraints are your primary concern or you’re looking to make a long term investment that will increase the value of your property. Our skilled workers are manufacturer certified and highly trained in every aspect of roof replacement, and they take great care to protect your property and maintain convenient access to your home or building during construction. All new Newport Beach roof installations are covered under a full warranty, with a manufacturer guarantee provided for your protection. Call today to learn more about roof replacement in Newport Beach. 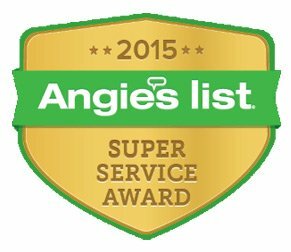 George Parks is the premier choice for comprehensive roof maintenance in Newport Beach. For over 37 years we have been providing our valued customers with affordable, quality roof maintenance for commercial and residential buildings. Regularly scheduled maintenance maximizes the life of your existing roof and reduces the need for costly repairs or replacement from leaks and weather damage. Our experienced roofing experts will perform a thorough inspection and design a maintenance program that meets both the requirements of your Newport Beach home or commercial building and your budget. Call today to learn more about roof maintenance in Newport Beach. George Parks is the leading provider of comprehensive roof inspection and repair for Newport Beach commercial and residential buildings. 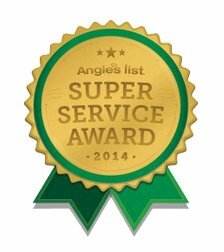 We have been providing our valued customers in and beyond Newport Beach with expert workmanship and fast response for more than 37 years. We accurately assess any damage to your roof and make thorough repairs as promptly as possible, with minimal disruption to your Newport Beach home or business. Our skilled and extensively trained repairmen will come to your location to survey your roof and evaluate the problem. They will perform a comprehensive inspection and provide you with a full report of your roof’s condition along with professional advice on the repairs needed. Then, if extensive work is required, our experienced roofing experts will provide you with an upfront estimate. We can diagnose and expertly repair problems such as leaky roofs, damaged flashing, missing shingles, and much more. For additional information on roof inspection and repair in Newport Beach, contact us today. With over 37 years of experience and thousands of satisfied customers, George Parks Roofing is the premier choice for commercial roofing services in Newport Beach. As a full service commercial roofing contractor, we have the knowledge and expertise to handle all your commercial roofing needs, including design, installation, maintenance, and repair. We use only the best materials at the best price to ensure that your business has a quality, long-lasting roof at a great value. George Parks Roofing offers custom tile roofs, slate roofs, cedar wood shingle/shake roofs, hot asphalt built-up systems, modified bitumen systems, and more. We install new roofs, replace old or damaged ones, and offer maintenance and repair programs that will maximize the life of your commercial building’s roof. We are also familiar with all regulations for commercial roofs including Title 24. Our team of qualified, highly-trained roof technicians has extensive knowledge of commercial roofing materials and will complete your project on time and within budget. We take great care to be minimally disruptive and completely respectful of your property during construction, maintaining convenient employee and client access to your Newport Beach commercial building to the greatest extent possible. Call today to learn more about commercial roofing services in Newport Beach. George Parks Roofing has been a leading full-service roofing contractor in Los Angeles County for almost two decades, and we are proud to offer our quality services to residential roofing customers in Newport Beach. We have the knowledge and expertise to handle all your residential roofing needs, including design, installation, maintenance, and repair. We pride ourselves on our excellent craftsmanship and attention to detail. George Parks Roofing offers custom tile roofs, slate roofs, cedar wood shingle/shake roofs, and other residential roofs in Newport Beach. We expertly install new roofs and replace old or damaged ones, and our maintenance and repair programs are perfect for maximizing the life of your Newport Beach home’s roof. Our team of highly qualified and extensively trained roofing technicians always completes projects on time and within budget, and we take the utmost care to protect your property during construction.